Most popular yacht charter to Mandrem beach. 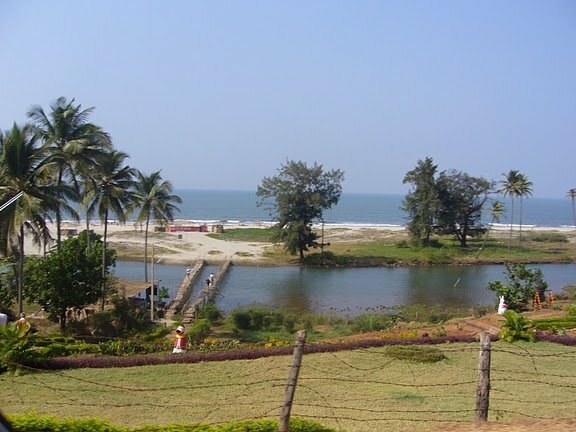 It is located to the south of Arambol beach. A rocky cliff jutting out into the sea is all that separates it from Arambol beach. It is located at a distance of 24 kms. From Mapusa and 36 kms. from Panaji. A small rivulet runs parallel to the shoreline bisecting the beach into two halves, ultimately flows to the sea. The locals, who have established shacks along the beach, have built small wooden bridges at regular intervals in order to aid tourists in crossing the rivulet. Compared to Morjim and Ashwem, Mandrem beach is the most captivating beach and offers the best option to spend the night. Things to do out here is fishing, you can also take a walk down to Mandrem village or to the organic farm. You can also go for dolphin-spotting by private yacht charter. The beach is safe for swimming. The ambience is just correct at the beach and so is the food. The tandoori food and seafood are definitely worth a try.